Joe and I have flown through Copenhagen a few times enroute to other destinations. Usually it's a brief stop, disembarking from one flight and walking a few gates down and boarding the next however, returning from Greece, we had a few hours to kill. As we descended into the city, the pilot announced that the city was sitting at a lovely 15ºC and we figured we should take advantage of it! 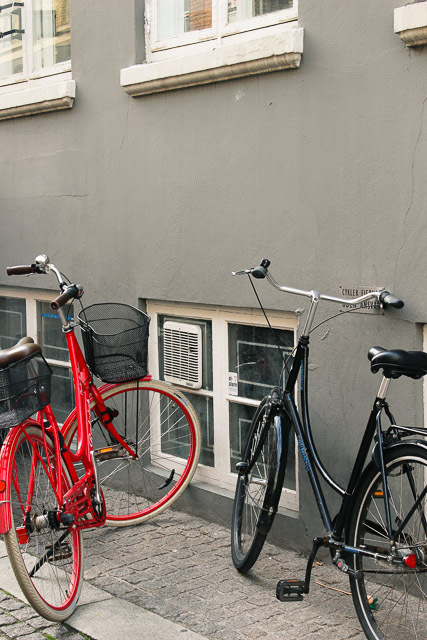 Copenhagen airport is 8 kilometres from the city centre which is practically unheard of in many European capitals and the Metro connects directly to the airport making it super easy to slip into town for a few hours. 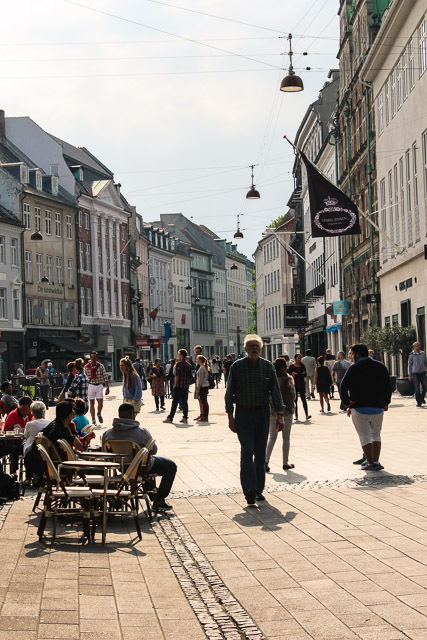 Denmark, like many other European countries, was enjoying a public holiday so while the shops were closed, the restaurants were plum full of people enjoying the Spring weather. Street musicians were out in full force and I couldn't help feel wooed as 'Moon River' floated down the streets courtesy of a clarinet. The city certainly has the same Scandinavian feel we've become accustomed to yet it seemed a little edgier. 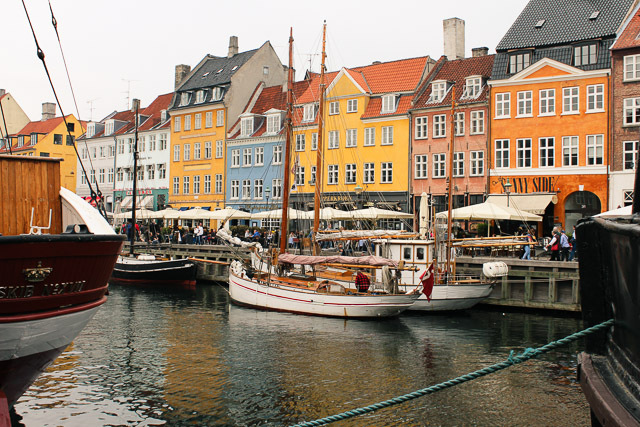 If anything, our few hours in town put Copenhagen back on our radar and it will be on our list of weekend trips in the future. -The Metro is located in Terminal 3 of the airport. A return ticket cost 72 kr ($12.50 USD) for the 15 minute journey into city centre. 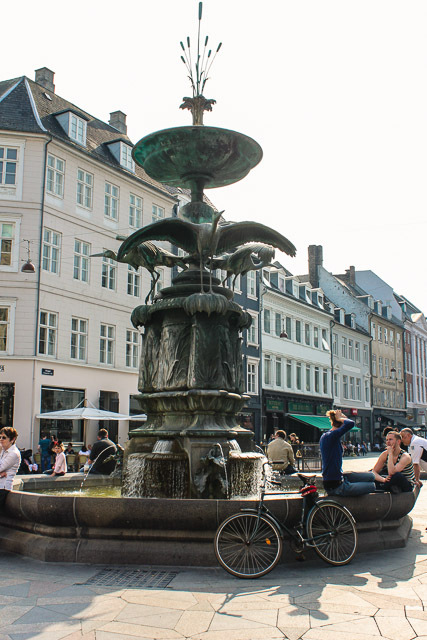 -The Kongens Nytrov stop is the perfect location to explore central Copenhagen with many shops, restaurants and sites nearby. -We ditched Joe's backpack in a storage locker before heading into town. To be honest, it was a bit of a hassle as the lockers are found in the parkade directly across from T3 and while the automated machine could be changed to English, it immediately switched back to Danish as we tried to make the transaction. It was a little confusing, we may have inadvertently charged ourselves twice but it worked out in the end. I heard a guy playing "Somewhere over the rainbow" on the Parisian metro the first time I visited and it tipped me over the edge! 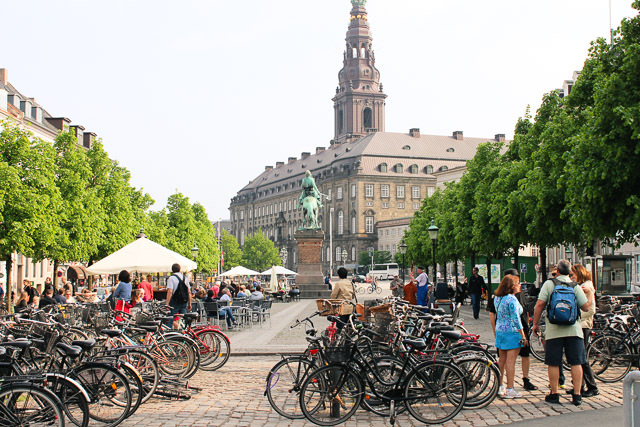 Copenhagen is so high on my European travel list. I hear their opera house is stunning. Lovely photos Jay. Hearing music like that at the perfect time just makes one feel like they're living in a film. Nick and I have gone back and forth on Copenhagen and almost went this year... I think definitely it's back on my list now seeing your photos! Looks like a cool city! oh I loved Copenhagen! It was snowing while I was there so unfortunately the light wasn't great for pretty pictures like yours! Looks so pretty - sad we didn't get here...we were so close! Love Copenhagen! It is such a lovely city! Looking forward to return one day!! 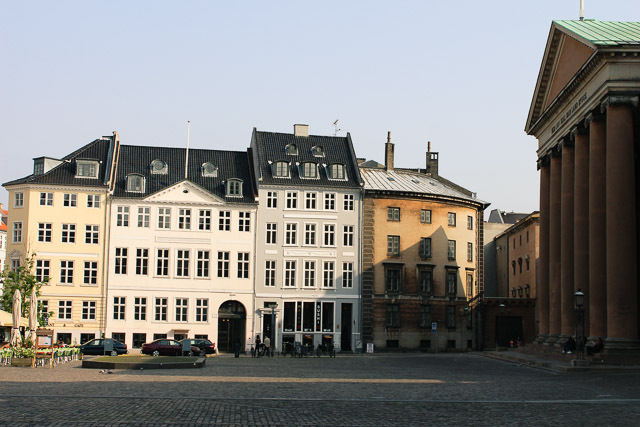 I love little stopovers like this... so glad you were able to get into Copenhagen and have an explore - it looks lovely. 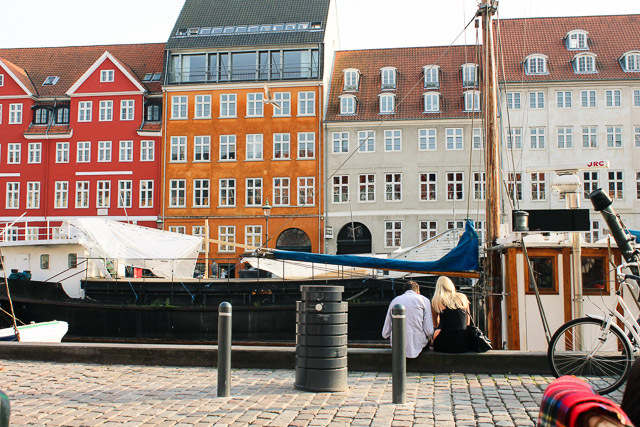 Copenhagen in the summer was one of my favorite trips ever! I'm forever changing at CPH and always think I should pop into the city.. next time I DEFINITELY will!!! Definitely David! It's a pretty easy trip in, even if you only have a few hours! 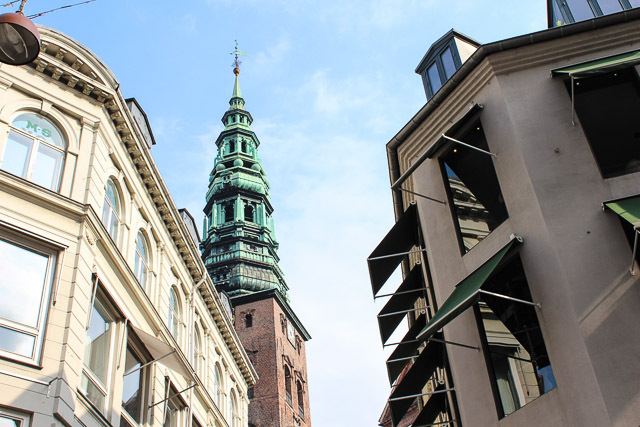 I've seen Copenhagen pop up at a lot of blogs lately and it definitely has put this city on my travel radar! Beautiful photos! I haven't been to Denmark but am looking forward to exploring that corner of the world in depth next year. 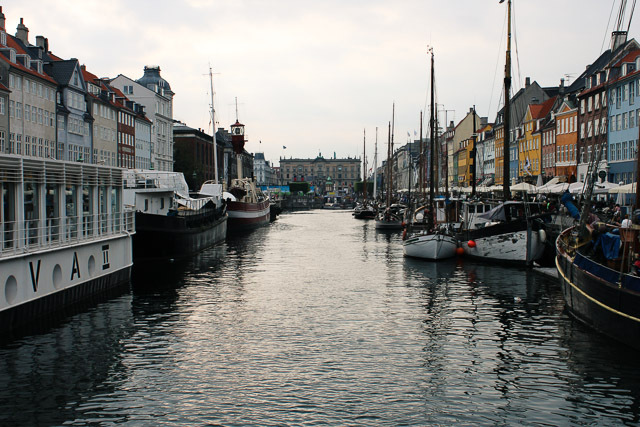 I cannot wait to go back to Copenhagen. I keep watching Ryan Air flights to get me to Norway and Sweden and I just cannot wait to get back up there.